Be inspired by the unpredictable nature of instant analogue photography. Whether you are new to Polaroid or have fond memories of its heyday, join award-winning Polaroid photographer Rhiannon Adam for this one day workshop. 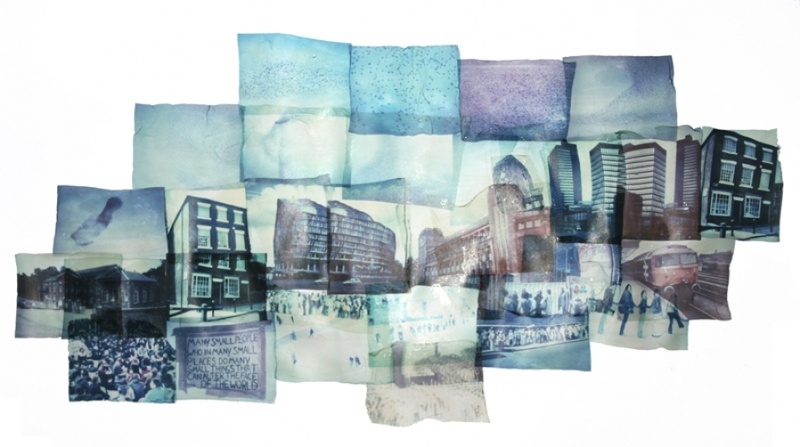 You will explore various creative manipulations of both Polaroid and Impossible Project films and learn the skills needed to create one-off pieces of work using the 'emulsion lift' technique. You will find out about different types of cameras and film – whether vintage or produced today. set a date for a weekend that will suit everyone. 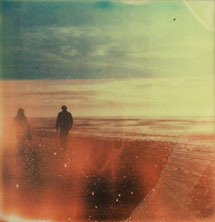 Rhiannon Adam is a Polaroid photographer based in East London. She works exclusively with expired Polaroid materials and Impossible Project film. She has been exhibited worldwide, and is best known for her large-scale composite emulsion lift works. She has delivered workshops at Double Negative Darkroom, Create Brighton / Brighton Photo Fringe, Yeradessa/Meanwhile Space, Boxpark, Designer’s Block, The Impossible Project, and The Mill Co. Project. 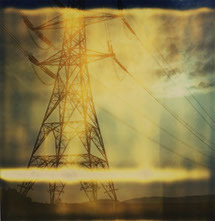 The workshop will cover a number of techniques, focusing particularly on 'emulsion lifting', a process that works with most old Polaroid film, and the new Impossible Project film. 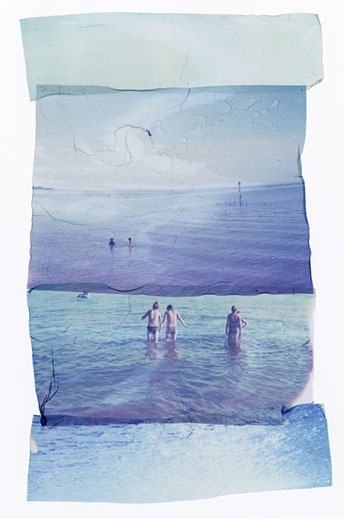 The basic principle is that the layers of the developed photograph are separated and the picture layer can be floated off and 'lifted' onto a new surface. With this technique you can create unique and unusual pieces of work (see right and below for examples). The day will include a a lesson on optimal camera operation and a photo walk around Eastbourne’s seafront. Worksheets for each activity will be provided, as well as film, cameras, and other materials required for each creative technique. Rhiannon has a wealth of experience using different cameras, films and techniques; she will be on hand to answer any questions during the workshop and be happy to offer ongoing support and advice long after it has finished. This course is suitable for complete beginners as well as experienced artists or photographers looking to learn something different. Are there any other costs? Do I need to bring anything? If you have a camera, bring it, as it’s always best to teach you with your particular model. If you don’t have one, you will be able to borrow one. All other materials are provided. Film will provided in enough quantity to work on the techniques taught during the workshop, and additional film will be available to purchase on the day. I thought Polaroid wasn’t made anymore, can you still get the film? Yes and no. Polaroid has discontinued all instant film, however this workshop will focus on the use of compatible film made by The Impossible Project and Fuji. We will give you information on where to buy cameras and film so you can carry on working with Polaroid in your own time if you wish to.